Helmet features all hand rendered insignia. 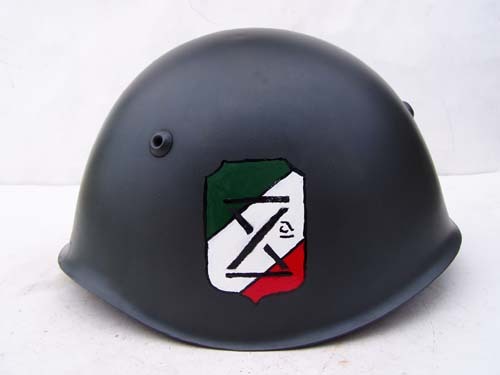 This helmet is a personal favorite. 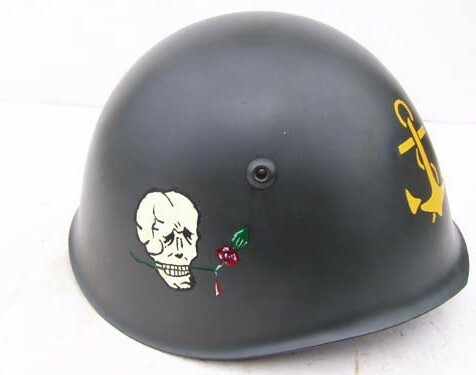 Lets face it only the Italian military would have insignia with a skull clutching a rose!